Hey, Glenn Reynolds blogs about cameras, and he sets the standard, right? 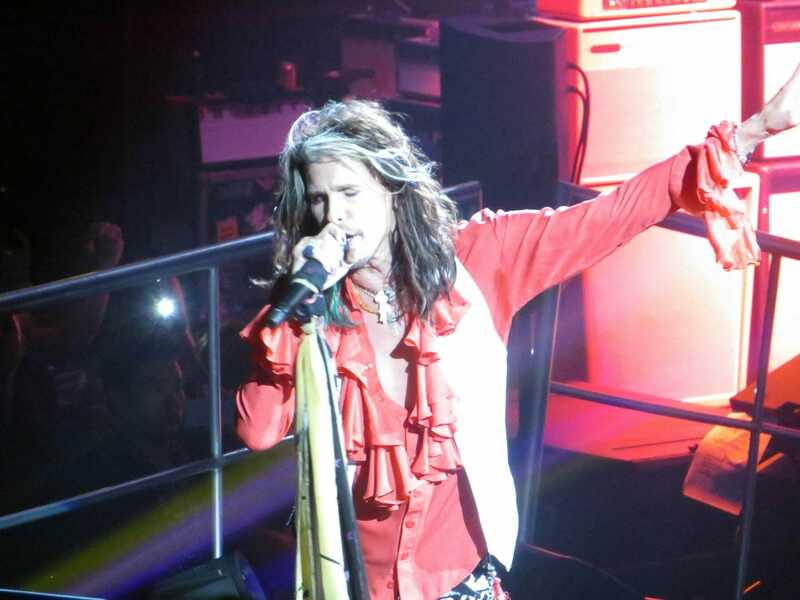 I just looked at a few of the pictures I took at the Aerosmith concert last week and I thought they came out surprisingly well for a pocket camera. I was using a Canon PowerShot SX260HS that I actually own to take pictures of campgrounds for my business web site. These pictures were not from close up, they were zoomed all the way out to 20x (I was up in the seats on the side, not on the floor or right by the stage). I shot with a no flash night mode the camera had that I had never played with. Given the time it takes to process each shot, it must be some kind of HDR thing but I was impressed it caught fast action pretty clearly. 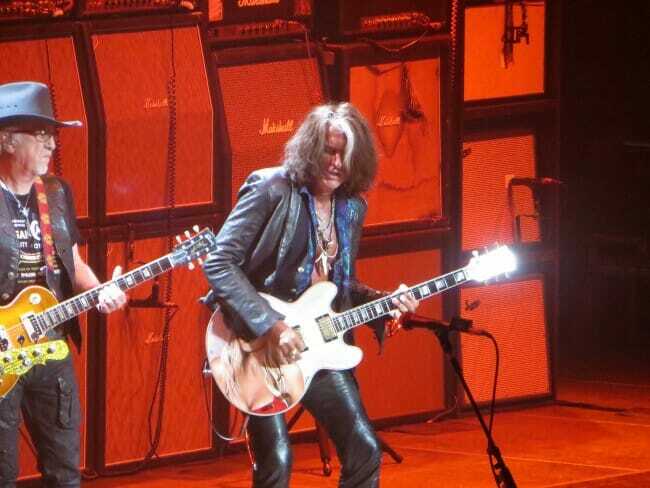 Loved that Joe Perry guitar, by the way. 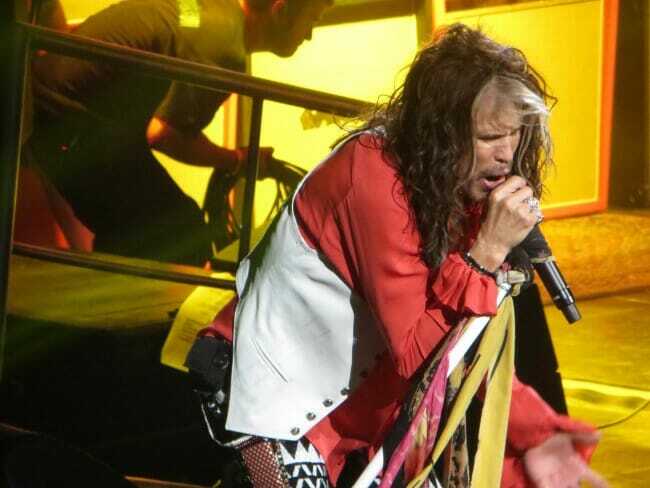 That's the best Steve Tyler has looked since grammar school. The biggest issue with these pictures is that they are of Aerosmith! jk. Hope you didn't write that camera off as business equipment. I have the same camera, and I've taken a lot of great shots with it, but it's too old to have an HDR mode. And HDR wouldn't help anyway, since that's for situations with high dynamic range (large differences between the bright and dark areas in the photo). In this case, the difficult issue is getting a high enough shutter speed to avoid hand-shake with the telephoto and to stop action of the performers. Image stabilization (which the camera does have) helps a lot with hand-shake, but does nothing for moving subjects. For that, you need high-shutter speeds which means high ISO. That introduces noise, but it's not very visible in when the resolution is reduced as much as it is here. Whatever software was used to resize the pictures stripped the EXIF data, so we can't see how much zoom you had dialed in and how the camera handled it, but I'd expect to see both elevated ISO and shutter speed.